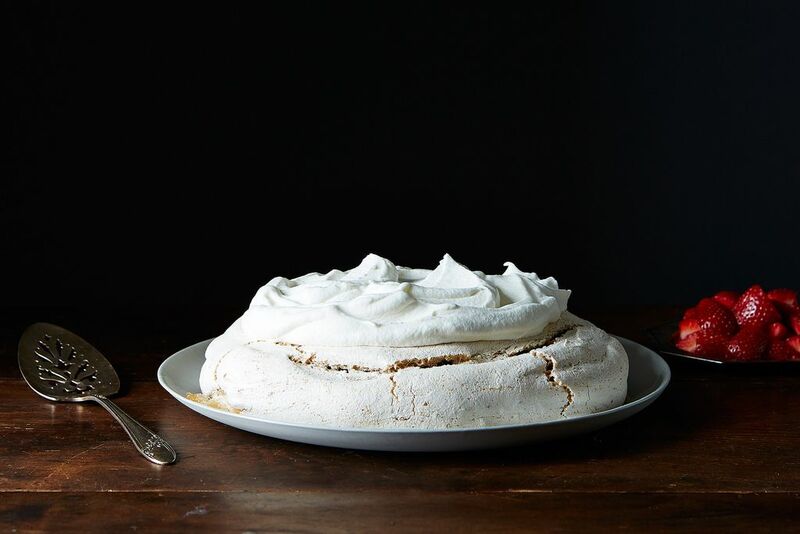 Today: Classic pavlova gets a nutty makeover. Here is a sweet, crunchy, gooey, peanutty spin on the classic pavlova -- with fresh strawberries and cream. If you don’t like peanuts, substitute natural almond butter or hazelnut butter or cashew butter, but don’t miss it. Ribbons of smooth peanut butter contribute rich flavor and a welcome counterpoint to the sweet sweet meringue -- berries and cream take the whole affair over the top: every bite is a riot of flavors, textures, temperatures. 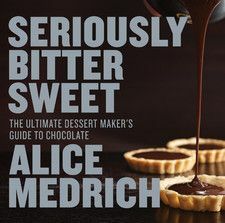 Alice's new book, Seriously Bitter Sweet, is a complete revision of her IACP award-winning Bittersweet, updated for the 54%, 61%, and 72% (and beyond) bars available today. It's packed with tricks, techniques, and answers to every chocolate question, plus 150 seriously delicious recipes -- both savory and sweet. let's be a grownup, shall we? Love Pavlova- Great twist! Actually use a raspberry vinegar in mine.. sounds like it will work with this recipe.... subtle jelly hint with the peanut butter...hmmm?! Wow, I never knew pavlova could be flavored. Amazing.